Horror games that are also adorable, are a rather phenomenon in the genre. One of them is Bulb Boy and it absolutely is an adorable gloomy Indie game. Bulb Boy lives together with his grandfather and beloved pet in a light bulbesque house. You start off in the living room where Bulb Boy is watching TV together with his family. When the grandfather falls asleep Bulb Boy decides to also go to sleep with his pet. Bulb Boy is sleeping soundly until he gets woken up by a nightmare where his grandfather gets attacked. Bulb Boy decides to search for his missing family members. He discovers that their entire house is taken over by monsters. So by using his head (sometimes literally) and using clever ways he beats the monsters. In-between the rooms you get to see memories from Bulb boy with his family. After beating/escaping some monster’s Bulb Boy finds his pet trapped by one of the monsters. After freeing him, the pet helps him look for his grandfather. Other than the memories there isn’t a lot of backstory. A real in-depth story isn’t present in Bulb Boy as you only get to see what happens in the bulb house and get only a little bit of information from the memories. There is no information about the monsters and where they originated or what happened to Bulb Boy’s parents. A family bond is what jumps out the most in Bulb Boy and is what makes up most of the story. The atmosphere in Bulb Boy is really nice because of the lighting. The characters glowing head really makes it special, since the environment is mostly dark. While moving the main character around, the light moves nicely with him, even when you look into drawers you see get the effect of a greenish light bulb. The whole style of the game is a kind of cartoony art style. Most of the game is gloomy and a bit scary but also strangely adorable. Even though the language in Bulb Boy is fictional and mostly sounds like gibberish; the mouths are still nicely animated. The expressions are clear and not faded even though their heads are glowing. Even the pets cute face is nicely animated and shows emotion. The pet and the monsters are the only ones not glowing but they designed the pet in a way that it’s obvious that the pet is friendly. All the monsters kind of look revolting and creepy but that’s of course mostly what a monster is about. The music is really suspenseful and has a slightly creepy undertone. Only when in the memories/flashbacks and in the beginning there are more upbeat happy music tracks. Language in this game is mostly fictional and a bit similar to simlish from the Sims franchises. Even though you can’t make sense of what the characters are saying, except from the image in their speech bubbles, but the emotions are still recognizable.The sounds that the monsters make are mostly random noises but that still fits that monster in question. All the sound effects in the game are pretty great as well; from the creaking of a door to the sound, Bulb Boy heads make when landing on his body or screwing into something. 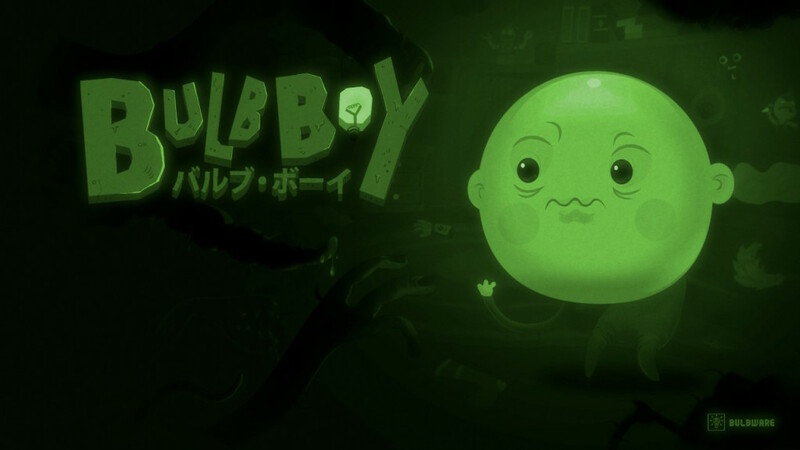 Bulb Boy is a point and click Indie horror adventure game. You play as Bulb Boy an adorable little fellow whose head is a light bulb and glows like one too. Bulb Boy’s home where he lives with his grandfather and pet is also a light bulb. Bulb Boy can take his head off and light up things or just simply hide his head because the monsters that appear in the game are mostly interested in his head and apparently not in his body. Because he’s able to separate his head from his body it makes for interesting game mechanics. Bulb Boy can even use other objects/beings as his body when he puts his head on/in them. In the game, you can pick up objects and use them with other objects or living creatures. Sometimes you have to use a weird combination of objects that you wouldn’t think of straight away to solve a puzzle. Bulb Boy stores most items inside his body but objects that are too big he just carries on his head or in his arms. Sadly, there is a glitch that an object in his arms can disappear and then you need to reset that part by dying because otherwise, you can’t proceed the game. The “puzzles” in this game are mostly blocked paths that can be solved by searching for items that open the way. The monsters in the game are pretty much all disgusting and most of them originate from an object that already was present in the light bulb house. 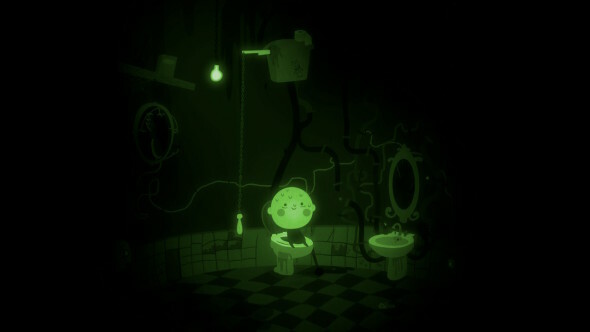 Most of the game is situated in the house and a few times in places around or under the house, for example: Bulb Boy ends up in the sewer for a while. The bulb house is incredibly messy and it’s not sure if this is because of the monsters or just because Bulb Boy and his grandfather are messy, same for the lights in the house there are almost no lights present in the house and some of those lights that are present are broken. This could be because of the monsters but also because the grandfather’s and Bulb Boy’s head both light up so they don’t need extra lighting. Of course, because of the few lights, this gives an extra creepy factor to the game. 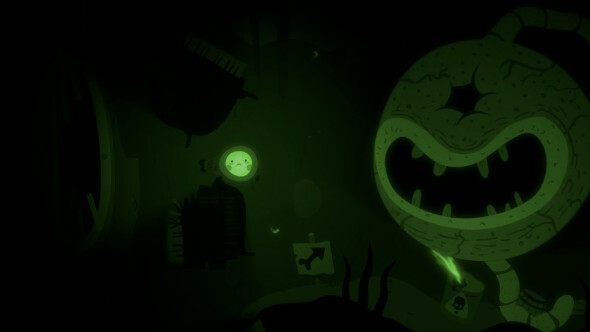 Most horror games use a flashlight in dark area’s but since Bulb Boy’s head lights up this isn’t necessary and is actually way cooler than a flashlight. Between some rooms/levels, you get to live Bulb Boy’s memories in a flashback kind of way. These memories are way lighter and happier which is a nice break from the gloominess from the rest of the game. In these flashbacks, you not only get to play as Bulb Boy but also as his grandfather or his pet. Normally when you play as Bulb Boy you get his fingers as mouse cursor but when you play as the pet you get a cute little paw as the cursor. The game is a bit short but doesn’t feel unfinished because the ending is satisfying but a sequel would still be great. 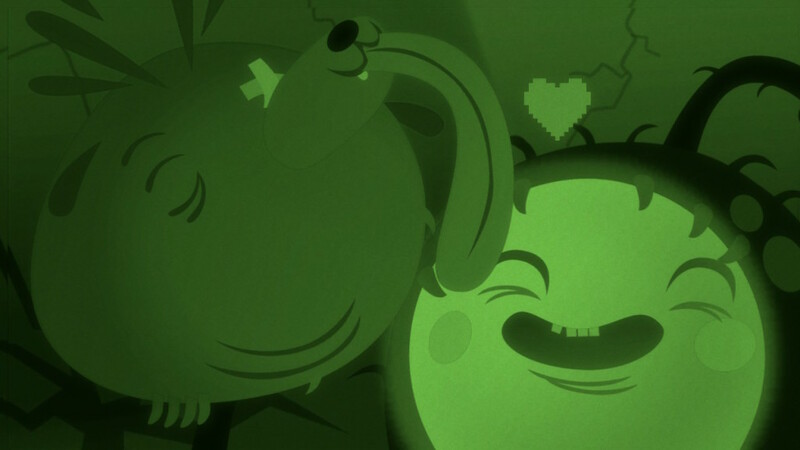 Bulb Boy is an adorable and creepy game with a pinch of disgusting. It’s really fun to play and even if it’s a little short, you really get to learn about the bond between family members. 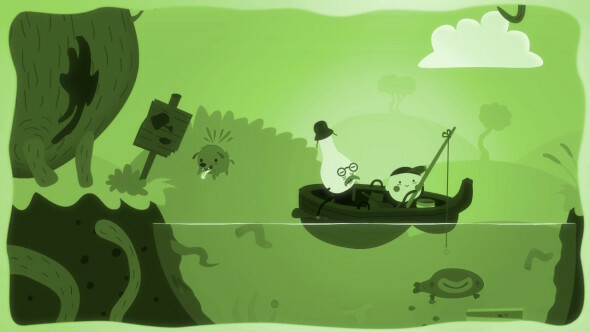 The style of the game is really great and Bulb Boy and his adorable pet are just the cutest things together. Bulbware, the developer, did a really good job to make a great game with a team of mostly 4 people. Even if you don’t necessarily play Indie games, give this one a try. The game really isn’t expensive and is worth every penny. This will also support Bulbware and help them make more games and maybe could help them make a sequel for Bulb Boy.